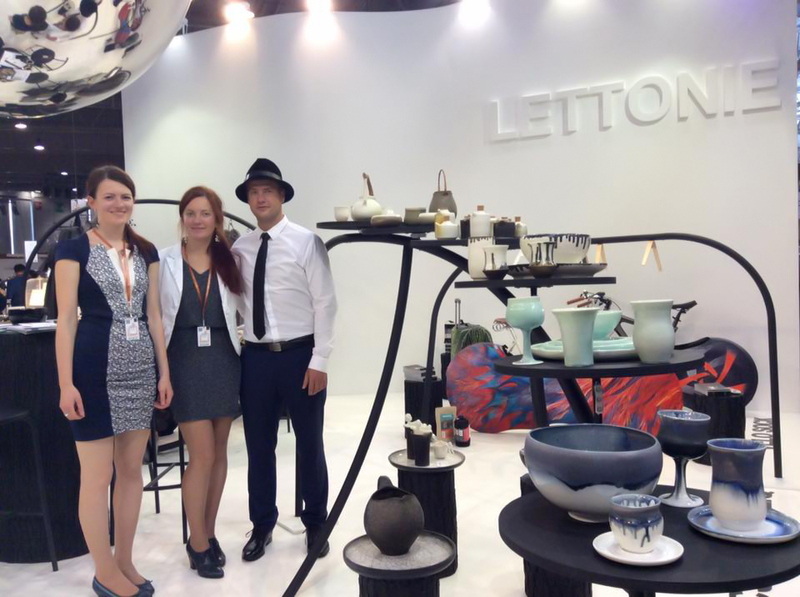 In September we had the honor to participate in the Maison&objet Paris exhibition as part of Latvian national design stand, funded by Investment and Development Agency of Latvia. The event was superbly organized and well attended. 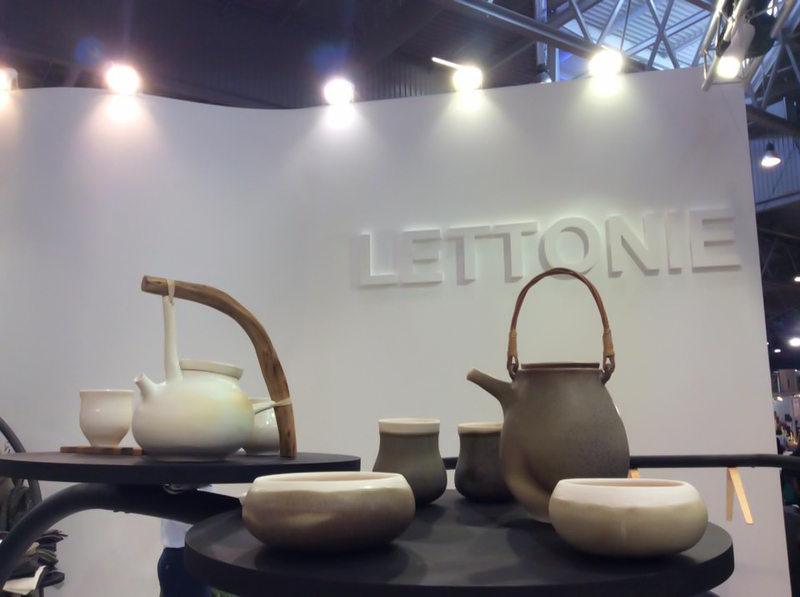 We presented our seven main collections- hand thrown porcelain in turquoise crystalline glaze, dark blue sky crystalline glaze, gold&lava, satin white and dark frost glazes, the organic collection as well as the Latvian earthenware tableware set. 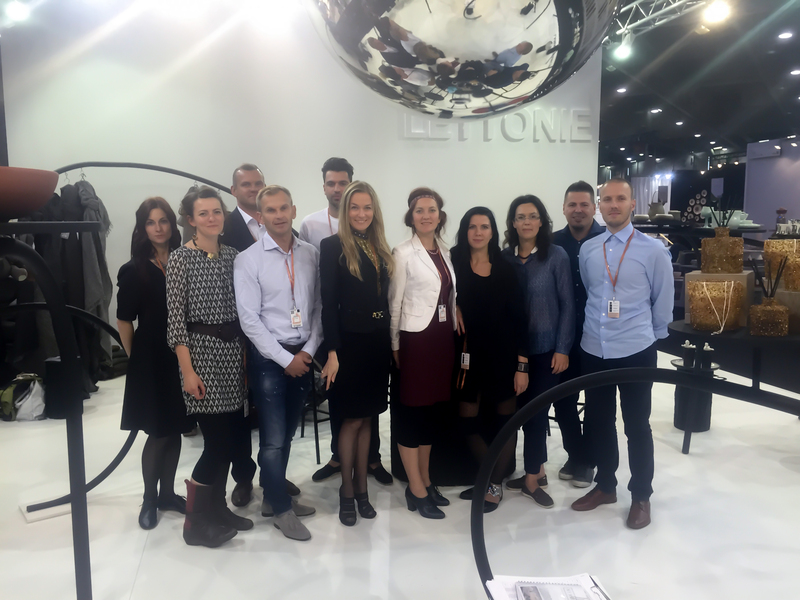 Latvian national stand team at Paris maison&objet 2015 – 8 design companies and LIIA representatives.